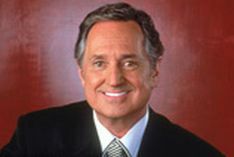 For over fifty years, Neil Sedaka has written, performed, produced, and inspired countless songs. Neil’s interest in music began at the young age of four, but it was not rock ‘n roll, but classical music that would shape Neil into the musician he is today. By the time he was eight years old, he had already begun his intensive classical piano training at the prestigious Julliard School of Music. At 16, Arthur Rubenstein voted Neil as one of the best New York High School pianists. Many years and hundreds of hit songs later, Neil is still wowing audiences, and most recently released “The Music of My Life,” which includes his first ever salsa song. As one of the most highly acclaimed performers of our time, Sandi Patty is simply known as The Voice. 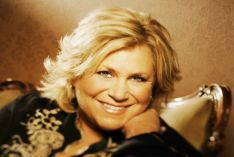 Sandi is the most awarded female vocalist in contemporary Christian music history. Her debut full length symphonic pops album “Broadway Stories,” was released this past October. Sandi was introduced to the world with her rendition of The Star Spangled Banner during the rededication of the Statue of Liberty in 1986, and her version of the national anthem has become synonymous with patriotic celebrations. Joining Sandi in this afternoon of song and inspiration will be Larnelle Harris. Few names are as synonymous with Inspirational music as Larnelle. Admired by fans and peers alike for his majestic tenor voice, Larnelle has become the epitome of talent and integrity in a career that spans overthree decades.